"The Vienna in which Franz Schubert lived for the thirty-one years of his life was a city of music, dance, and coffeehouses—a center of important achievements in the arts. But it was also the capital of an empire that was constantly at war in the composer’s youth and that became a police state during his maturity. Now, in the bicentennial of Schubert's birth, this elegantly written and richly illustrated book paints a vivid picture of the culture, society, and politics of Schubert's Vienna. Eminent authorities examine Vienna’s history and politics, class structure, and social conventions. They describe private and public entertainments, including music and dance, as well as classical and popular Viennese theater, both of which achieved special greatness in the early nineteenth century. They investigate the historical layers of architecture and sculpture that preserved Vienna’s past or reflected the imperatives of Schubert’s time. They analyze genres of painting that exemplified or went beyond the ideals of Biedermeier society. 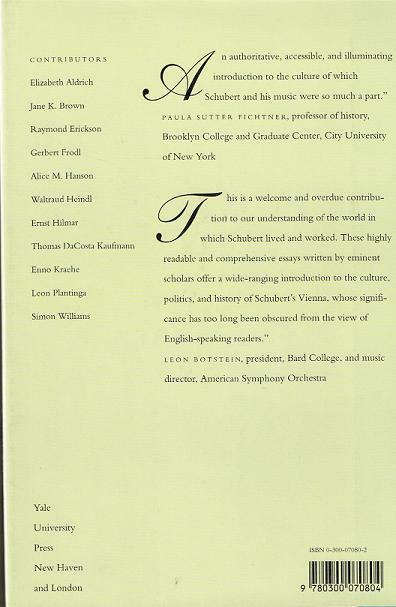 And they discuss literary currents reflected in (or absent from) the poetry that fired Schubert’s musical imagination. 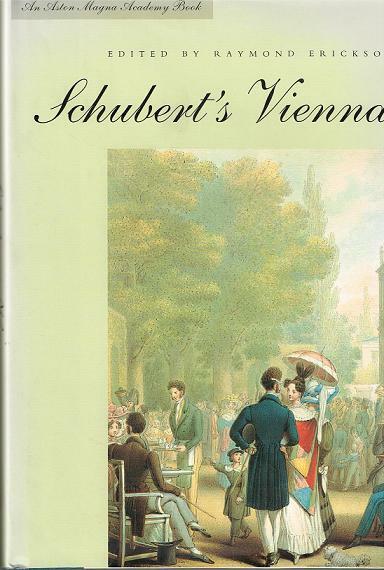 This charming book, which enriches our view of Schubert and the city in which he lived, will be treasured by both lovers of music and lovers of Vienna."